A little over four years ago, as several Asian countries were vying for observer status in the Arctic Council, there was some concern over what might happen if they were not admitted. Shut out from the region’s preeminent intergovernmental body, would China, Japan, South Korea, Singapore, and India discuss their interests in the Arctic elsewhere, in a forum like the United Nations or the International Maritime Organization? Might they even talk about the Arctic at a conference like the Arctic Circle, which, though based in Iceland, strongly promotes a global envisioning of the Arctic? These fears were cast aside when the five Asian countries and Italy gained observer status at the Kiruna Arctic Council Ministerial in 2013. However, certain observers like China have been less than thrilled with arrangements in the Arctic Council. Observers, after all, are meant to more or less just watch proceedings. They do not speak unless asked, and though they are expected to contribute to the activities of the Arctic Council, they can never really spearhead initiatives. Observers’ financial contributions for any one project can never total more than 50% of all funding. Partly reacting to the strictures of the Arctic Council and partly reflecting growing synergies between the East Asian countries’ policies, last week, Tokyo hosted the Second Trilateral High-Level Dialogue on the Arctic. The meeting involved Japan’s Arctic Ambassador, Ms. Kazuko Shiraishi, China’s Special Representative for Arctic Affairs, Mr. Gao Feng, and South Korea’s Arctic Ambassador, Mr. Kim Young-jun. Additionally, two of the three opportunities that the dialogue mentions are maritime-based: marine fisheries and shipping routes. 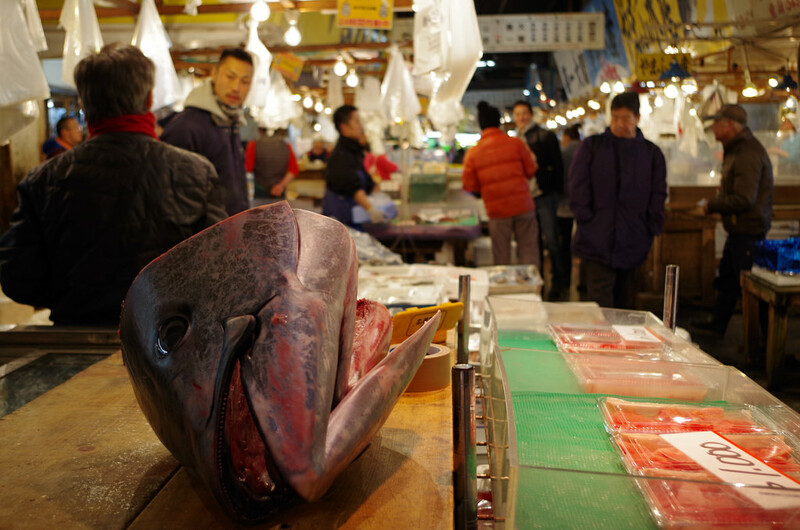 All three Northeast Asian countries have sizable deep-water fishing fleets, a reason that law professor Erik Molenaar claims is why they, along with Iceland and the European Union, were invited by the five Arctic coastal states to participate in the December 2015 Washington Meeting on High Seas Fishing in the Central Arctic Ocean. The three countries clearly see the marine environment as a legitimate space for them to exert influence in line with a “rule-based maritime order,” generally taken to be the United Nations Convention on the Law of the Sea (UNCLOS). Cleverly, the three countries parrot language from the controversial Ilulissat Declaration in 2008, which was an attempt by the five Arctic coastal states to solidify their control and authority over matters of Arctic governance. In that declaration, the U.S., Canada, Russia, Norway, and Denmark proclaimed, “This framework provides a solid foundation for responsible management by the five coastal States and other users of this Ocean through national implementation and application of relevant provisions.” Whereas the Arctic Five emphasize the national oversight allowed by UNCLOS, however, the Asian countries underscore the rights and responsibilities of the international community in the world’s oceans provided by the same treaty. China, Japan, and South Korea also announced that they would report discussions held during the dialogue to the Arctic Council, again trying to play nice with the right people. The Asian countries have come a long way from the days when Rear Admiral Yin Zhuo of China’s People’s Liberation Army declared in 2010, “The Arctic belongs to all the people around the world as no nation has sovereignty over it.” While the idea of the Central Arctic Ocean as a global commons still motivates a great deal of Asian involvement in the region, the language the Asian countries use to justify their presence is now more careful and measured so that their participation is not perceived as undue interference. Sometime next year, China will host the third Trilateral High-Level Dialogue on the Arctic. In a way, then, perhaps the Arctic Council’s worries from a few years back that the Asian countries would sidestep the body are slowly coming true. Even though China, Japan, and South Korea are reporting their discussions to the Arctic Council, important discussions about the Arctic are taking place in a venue outside of the control of sovereign Arctic states – and without any of their participation or even mere observation. If the trilateral dialogue ever expands to include other non-sovereign actors – for instance, if South Korea, which is continuing to enhance its cooperation with indigenous peoples’ organizations in the Arctic, decided to invite the Aleut International Association to next year’s meeting – this likely wouldn’t go down very well with the Arctic Council. Then, the body may have to seriously reconsider the role of observers lest other restless ones like the United Kingdom, Spain, and newly admitted Switzerland start forming their own separate dialogues on a region that it seems more and more countries on Earth see as part of their own watery backyard.